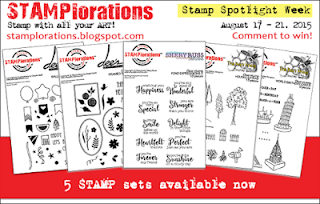 Welcome back to Day 4 of the STAMPlorations blog hop. Today we're showcasing my other set in this release, Houses Extras, which co-ordinates with Houses. I stamped my images onto white card, then got out my neon pens and scribbled more outlines on each image. Fussy cut them and adhered them onto coloured cardstock and added a sentiment from Deepti's second set for this release, which you'll see more of tomorrow. Check out the fabulous inspiration from the rest of the Design Team here, and I'll see you tomorrow for our final day of the hop. Such a cute little scene you created. I love the mostly white stamped images against a bright colourful background instead of the other way around! I love the look. Cool CAS card... love the extra scribbles! Simple yet stunning :) I love the blue card base ! way too cute and fun! love the scene and the colors. love the white background! Very nice card. Love the picket fence. Shirley...what a sweet card, I love those fabulous trees! I adore the 'scribbly' images....especially the trees! 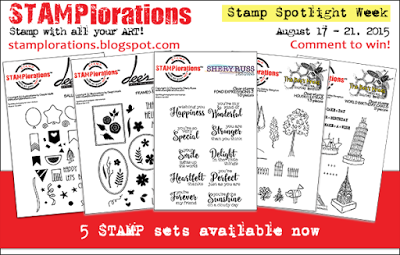 Awesome card - fabulous way to showcase the new stamps! I love this - such a stunning card with a gorgeous backdrop of rich color and the images look so perfect!! Wow...a simple card with a great impact...Awesome! Sweet fussy cut home scene Shirley. Your HousesExtras set is awesome. It is on my wishlist to go with my Happy Houses. TFS my friend. The neon pens make it look like you double stamped the image; you created a great look without having to double stamp. Love this home scene in peaceful colors, so adorable with wonderful fussy cutting! My dream house, with trees and a fence! LOVE this! Shirley I just love this!